The 'Saskia' trousers are impeccably tailored from a crisp worsted wool. Designed for a flattering high-rise fit, this piece is pleated to accentuate the wide-leg and sculptural silhouette - a truly stand out trouser. Style yours with the matching Sophie tuxedo jacket. 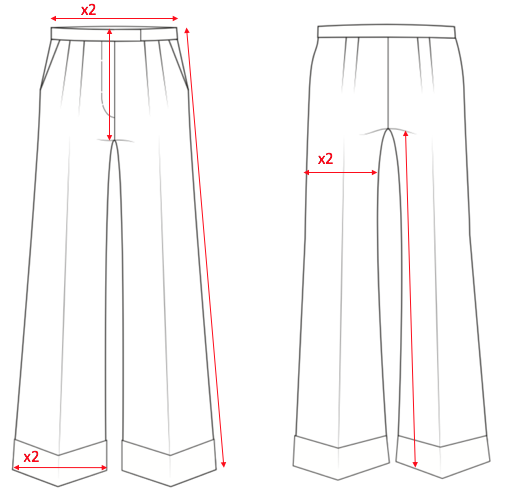 The 'Saskia' trousers are also available made-to-measure and can be crafted to your exact measurements in any fabric. You can book a private appointment with one of our tailors at our Chiltern Street store by emailing mtm@casely-hayford.com or requesting an appointment here. Our Private Client Team will guide and advise you through each step.